I spend a lot of money on BEAUTY, which I use as a catch-all for skin care, eye makeup, and other whatever. I haven't done a good job with my scientific method, so I can't definitively tell you which of these things DEFINITELY WORKS AND IS WORTH IT, but I can tell you that all of these things, in concert, give me nice skin and whatever. Some of it definitely works best of all. But some of it I just really THINK works. I have extremely, obnoxiously sensitive skin, I'm very pale, I tend to break out if I use anything weird, and get dry and flaky if I don't tend to my skin at all, or some unflattering combination of the two. I've reached the fancy age of 30, where I've started to notice my fine lines and under eye circles. For some things I find spending the extra money worth it, for others I find that I actually PREFER the drugstore brand. I find this to be just as effective as those $150 Clarisonic pore cleaner things (which, I have one, and I sort of wish I didn't have one because I find that I use this more, it works just as well, and it costs $5). I find that I prefer the manual process to the equivalent-of-running-an-electric-toothbrush-on-my-face process, and if you hate it, you only spent $5 on it. I bought this for traveling, because I always forget a key brush or get annoyed at myself for wanting to bring all of my eye makeup tools for a single night away from home. It hits all the eye makeup needs I want filled, and I actually PREFER the crease and smudge brushes here to some of my full sized ones. I keep it in my pencil case in my purse. It's only $12. Most of my single brushes cost way more than that. This is the only face wash I've found, in the whole of my entire life, that doesn't make my face either break out or dry up. I bought this because I don't sleep anymore and I'm trying to look like I sleep at least sometimes. I feel like it makes me look less tired. That could be psychological. But I don't THINK so. This stuff is expensive, but again, I don't sleep anymore. And this has made my dark circles better. So I don't like blush but this one is easy to apply and doesn't LOOK like blush, if you know what I mean. And it looks good on everyone; I put it on my friends when I do their makeup. I originally got it as a sample and liked it so much I bought the full size, which is saying something because even if I really like something I'll often only buy it once and want to move on and try another thing. I have been buying and wearing and buying and wearing this lipstick for the past 15 years. I hate lipstick and I like this. It's sheer, so it's not dark as it appears. It looks universally good on everyone. I have tried a lot of acne spot treatments for various dollar amounts and this one works as well as any of them and you can buy it at your local drugstore for less than $10. This is like a tinted sunscreen mousse and it is my very very most favorite foundation-like product. It's very light coverage but it makes my skin look all smooth and pretty and it has sunscreen built in which is a must for me and I'm on my 4th tube of it which is REALLY saying something, as I already said about the blush. I see that it's out of stock on the Philosophy site. I used to buy it from Sephora but they stopped carrying it. This is making me feel like maybe it's on its way to discontinuation land, which would be CRUSHING to me. The tube tends to last me about a year. I don't wear it every single day, but I probably wear it several days per week. Jojoba Oil (I buy mine from Trader Joe's for like $7ish I think?). I use this for my makeup remover, by putting it on a cotton pad and rubbing down my eyes and face. It feels weird to swab oil all over your face, but I find the dirt and makeup removal to be EXTREMELY satisfying, and (mind, I follow this with washing my face (Cetaphil, above)) it doesn't make me break out. And I am prone to breakouts. I also find that some eye makeup removers irritate my eyes, and this does not. And I just like it. Coconut Oil (I buy this from Trader Joe's too, but they sell it in the food section). 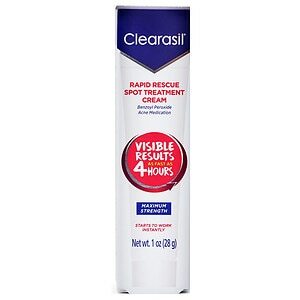 I use this for my eye cream. It feels nice, it smells nice, it works, it's cheap, most eye creams make my skin hurt, especially if they are meant to 'do' something. I have also had many tried and failed 'I don't think this works that well don't buy it' experimental purchases I've made and samples that I've tried, but I'm bored of this, so I'll save that for another time.